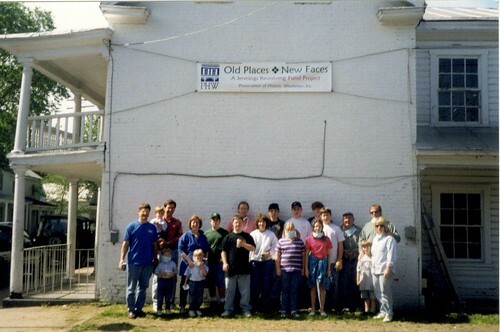 These awards recognize renovations of houses or buildings that contribute to improving the character of their neighborhoods and maintaining the overall historic fabric of the city. This award is named in honor of Ben Belchic, a founding member of PHW. 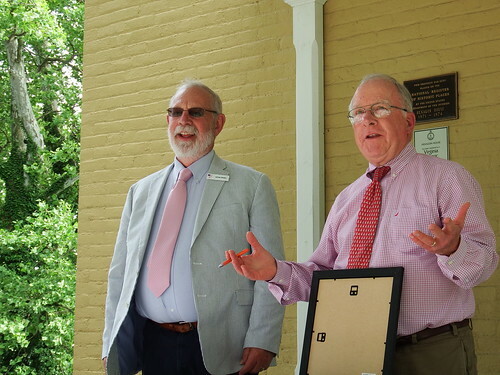 Ben Belchic was also an active member of the Winchester-Frederick County Historical Society, so the Belchic award recognizes a significant contribution to understanding Winchester’s history. These awards are generally presented for written texts, such as books, maps, National Register nominations, and guided tours. Past award winners and the nomination form for future award nominees, can be found on the PHW website. Find more images from the 54th Annual Meeting at Flickr. Another year has flown by at PHW! 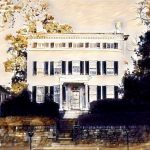 Please join us at the Hexagon House on Sunday, June 24, 3 PM to recap the last year, elect the board of directors, and see the presentation of the 2018 preservation awards. Stay afterwards for light refreshments and building tours. This event is free and open to PHW members. As you may know from past years, we generally set up the seating for the business portion outside. As is the running theme this year for events, we are anticipating an alternate plan for holding the event indoors to beat the afternoon thunderstorms. Rain or shine, we will have the meeting, but dressing for the weather is recommended in case we need to make a quick run for the indoors. Friday Photos: Pittsburgh Bridge Co. Bridge, Fairmont Ave. Happy Friday! Although we could not show any photos at our Annual Meeting, we thought you would like to see the progress pictures for one of our Award of Merit winners, Charles and Kelly Hyre, for the work done to retain their unique private driveway bridge at 445 Fairmont Ave. The bridge images submitted in the award nomination packet have been added to the 2017 Annual Meeting album on Flickr. 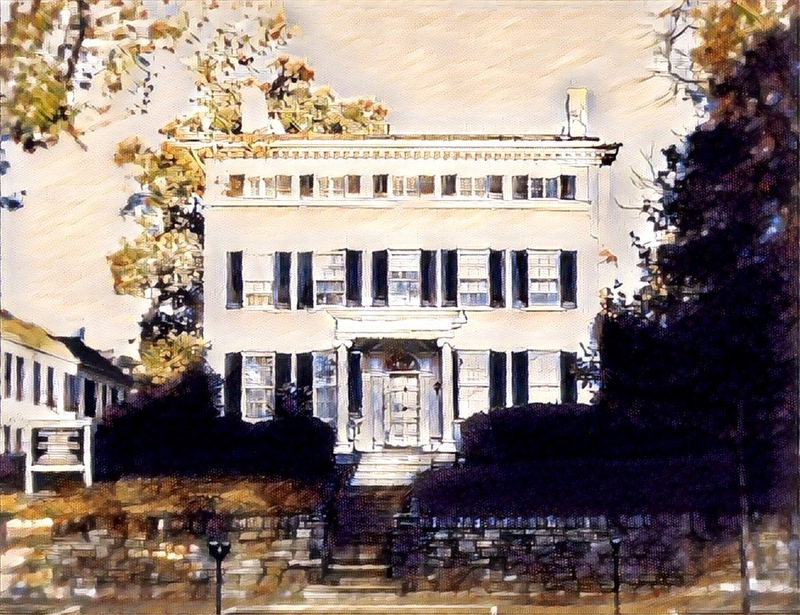 The house, known as Dunheath or more commonly Glen Lee, was built in 1869 for Judge William Clark, Jr. At the time, it was one of the first houses built so far north on Fairmont, and as such it was set much farther back from the street than any other home. All was well until a rail line was slated to run along Fairmont Avenue, cross the Amherst and Boscawen Y-intersection, and terminate at the Cumberland Valley Railroad depot at the corner of Boscawen and Stewart Streets. While the rail line passed in the rear of all other homes on Fairmont, for Glen Lee it would cut directly across the main driveway. In exchange for the right-of-way for the tracks, the railroad company elevated the driveway, constructed the bridge, and lined it with a wrought iron fence. The bridge was constructed by the Pittsburgh Bridge Company, with the firm Nelson and Buchanan as agents, in 1889. 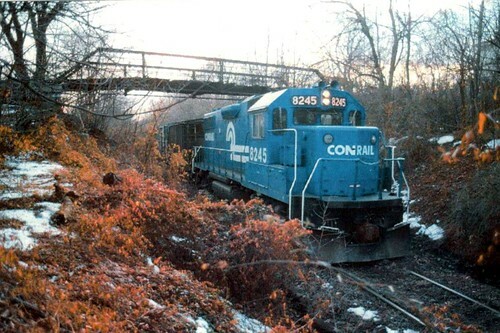 At the time, it was common for Pittsburgh Bridge Company to prefabricate the steel trusses and Nelson and Buchanan would act as the agents and contractors for the installation. To help sell their prefabricated bridges, railroad companies and local government officials were the primary targets for aggressive and sometimes ethically suspect marketing pitches. While an untold number of bridges were constructed in our region by Pittsburgh Bridge Company from the 1880s until their consolidation with American Bridge Company in 1901, many of the large highway bridges have now been lost to age, accident, or new construction projects. The bridges that seem to still be in service are smaller back road bridges or the driveway examples, like the one at Glen Lee. Almost all are facing structural or maintenance issues after more than one hundred years of faithful service. See some other Pittsburgh Bridge Company examples from around the country at Bridgehunter.com and through the search function at www.historicbridges.org. For more in-depth information on steel truss bridges, check out Bradford County’s Truss Bridges, which includes construction history, engineering information, and historic bridge manufacturer history. And you can see the Glen Lee driveway bridge at the end of the 2017 Annual Meeting and the Fairmont Avenue Flickr albums. Happy Friday! 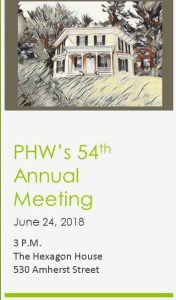 If you could not join us last weekend at PHW’s 53rd Annual Meeting, you can experience the event through some photos taken during the business portion of the meeting. 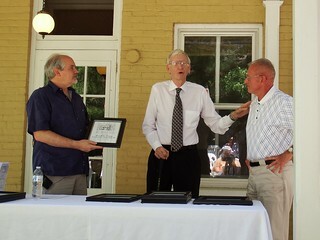 Bruce Downing, President of PHW, presented the following six preservation awards on June 11. Ann Brady and Gary Farrington, restoration of 317 South Braddock St. following the fire last year. Charles and Kelly Hyre, restoration of the private steel and wood bridge (c. 1889) leading to their home at 445 Fairmont Ave.
E.G. and Joanne Hamill for the exterior restoration and porch reconstruction at 513 S. Loudoun St.
Wil Johnston for On the Town! Celebrating James Wood and the Founding of Winchester in the Shenandoah Valley. 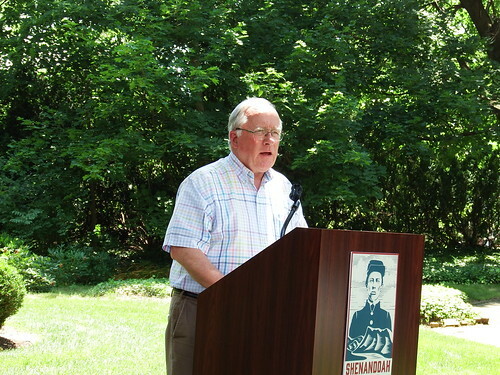 The family members, residents of Shawneeland, and elected officials who came together to formulate the plan to save the Clowser House, recognized under their official organizational name the Clowser Foundation, and accepted by its president, Larry Webb. PHW presented a special President’s Award to recognize the over fifty years of service put in by the entire Orndoff family, stretching all the way back to before PHW was even an organization itself. Betty Orndoff is one of the last people left who stood in protest in 1962 before the bulldozers came to raze the Conrad House. Edwin, Betty, and their daughter Eydie have since volunteered at almost every Holiday House Tour and attended nearly every major event of the organization since that time. It is truly a remarkable record of service! PHW also elected the 2017-2018 Board of Directors, quickly recapped our last year, and we heard some brief remarks from Terry Heder, our host at the Bell House, about the plans for the building’s future uses and roles in telling the story of the Civil War in Winchester. After the meeting, guests could see the inside of the house for guided tours, or stay outside for some light refreshments. All in all, it was a beautiful and joyous afternoon! See all the photos in our album at Flickr. Happy viewing! Reminder: PHW’s Annual Meeting is this Sunday, June 11, at the Bell House, 106 North Cameron Street in Winchester. We will begin the business portion of the meeting, including election of the PHW board members, at 2 PM, followed by six preservation award presentations, and finish up the meeting with some remarks by our host, Shenandoah Valley Battlefields Foundation. Afterwards, please stay for light refreshments, socializing, and building tours. If you have stories to share of the Bell House and its history, our hosts would also love to hear them. Last weekend, we attended the Clowser Foundation’s memorial service and lease signing celebration at the Clowser House in Shawneeland. If you weren’t able to attend, you can catch a few images of the event in our Flickr album. Happy viewing! Happy Friday! There are two events coming in June. 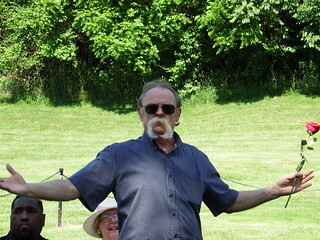 First, on Saturday, June 3 at 10:30 a.m., the Clowser Foundation will have a memorial service at the Clowser cemetery (152 Tomahawk Trail, Winchester, VA 22602) for the massacre in which members of the Clowser family and other settlers were killed or taken prisoner by Delaware Indians in 1764, followed by a lease signing celebration. Please join them for this free event and help them start off their efforts to save the Clowser House. 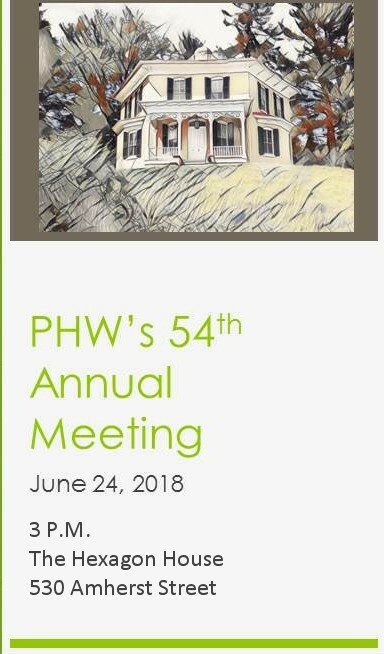 Second, on Sunday, June 11 at 2 p.m., PHW will hold its 53rd Annual Meeting and Preservation Awards at the Bell House, 106 North Cameron Street, Winchester, VA 22601. Please join us at this free for members event to celebrate local preservation projects and people and start PHW’s year on the right foot. If you were unable to attend the Holiday House Tour, this will also give you another opportunity to see the Bell House and learn about the Shenandoah Valley Battlefields and their plans for the building. The Preservation Leadership Forum and NeighborWorks America hosted the webinar “Preserving and Supporting Businesses in Historic Neighborhoods” on April 27. The webinar examined how small businesses contribute to the vitality of older neighborhoods through offering essential services and serving as community anchors. This builds upon previous studies that have identified historic buildings as incubators for small businesses. Check out the webinar and the addition related materials here. We would also like to take a moment to congratulate the award recipients pictured in the Annual Meeting 2016 album, as well as two winners who could not join us last Sunday. This award recognizes a person who has worked for the goals and programs of PHW over many years. Whereas a Henkel Award may recognize a short term, high-impact project, Lifetime Achievements are a recognition of “slow and steady” work for preservation efforts over the long-term. The following PHW board members completed their terms this year. Please take a moment to thank them for their service the next time you see them! Also, be sure to congratulate Tim Machado for joining the board this year, and Bruce Downing for stepping up to be President of the PHW board. 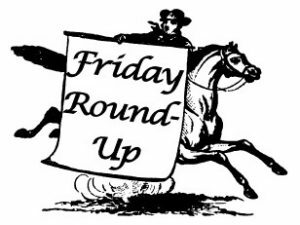 Friendly Reminder: Two PHW Events Coming Soon! Cost: Free for PHW members and invited guests. Voting at the business meeting is restricted to dues-paying PHW members. Activities: The annual business meeting includes the election of board members and presentation of the 2016 PHW Preservation Awards. Following the business meeting, which is expected to last about one hour, we will enjoy a light reception, homebrew beers, and (weather permitting) lawn games. The Hexagon House will be open for guided and self-guided tours (including the second story). For something a little more relaxing, you may sit down for a few minutes and color a house. Parking is limited and on-street parking is metered; we recommend utilizing the George Washington Autopark, across the street from OakCrest.